The circuit comprises transmitter and receiver, the cable under test linking the two. The transmitter is nothing more than a "LED chaser" the 4011 IC is wired as astable and clocks a 4017 decade counter divider. 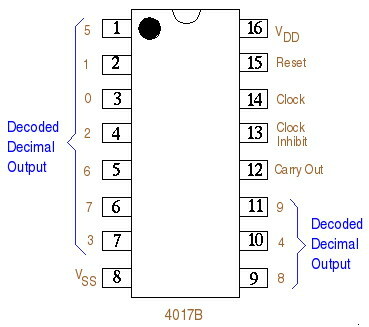 The 4017 is arranged so that on the 9th pulse,the count is reset. 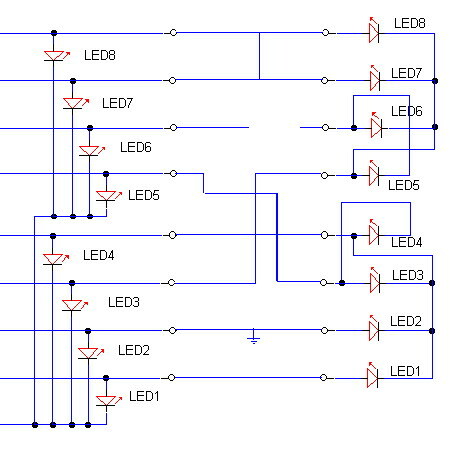 Each LED will light sequentially from LED 1 to LED 8 then back to LED 1 etc. As the 4017 has limited driving capabilities, then each output is buffered by a 4050. This provides sufficient current boost for long cables and the transmitter and receiver LED's. 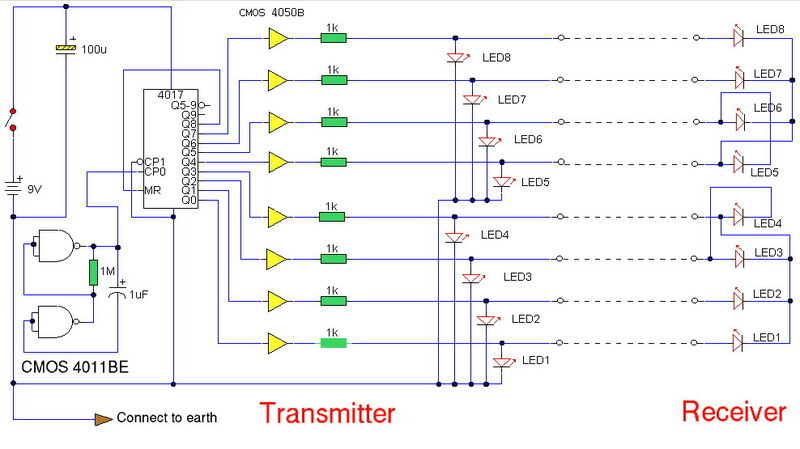 The receiver is simply 8 LED's with a common wire...read on. Not a mistype. The problem with testing each wire individually is that if you had 7 individually addressable LED's, then you would need an eighth return or common wire. In the case of testing 8 wires you would need a ninth wire. You could use a domestic earth but its not really practical, and also if the cable was shorting to earth anyway it would be no good anyway. The solution had me thinking for a while, but since this is a logic circuit, there are only two conditions, logic high or zero. 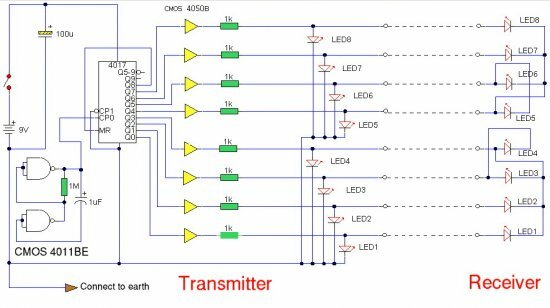 As the 4017 outputs are either high or low, any output can provide a common return path for a LED. So LED's 1 - 3 use the 4th output of the 4017, which will be zero, and the 4th LED is wired with reverse polarity. On the 4th pulse, output 4 is high, output 3 is low and so the LED will light. If the common return wire is open circuit then LEDs 1-4 will not light. A similar situation occurs with outputs 5 to 8. The common wire in can be taken from any output terminal from the 4017, but the same rule would still apply. The ability to test all wires quickly outweighs this small disadvantage. If a cable of just 4 or 6 wires is tested then it must use the wires with LED's numbered 1 to 4 or 1 to 6, which is why the LED's are numbered that way.